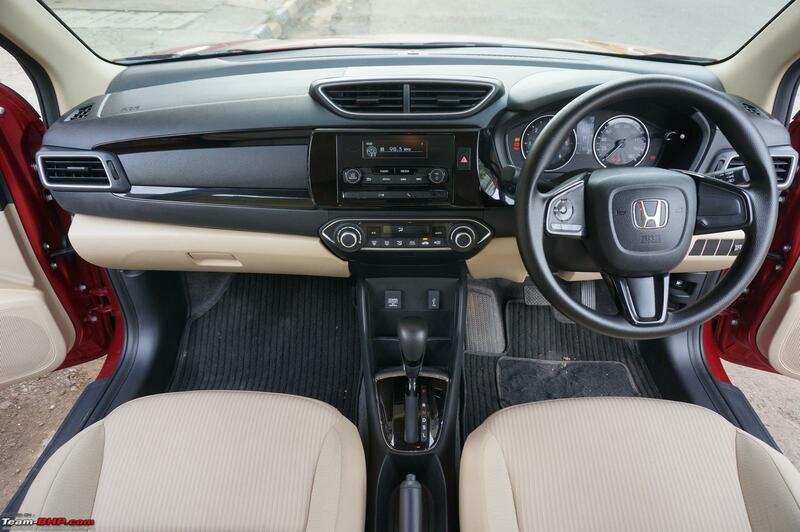 I feel DZire had moved the game so forward that Honda hasn't really caught up fully. 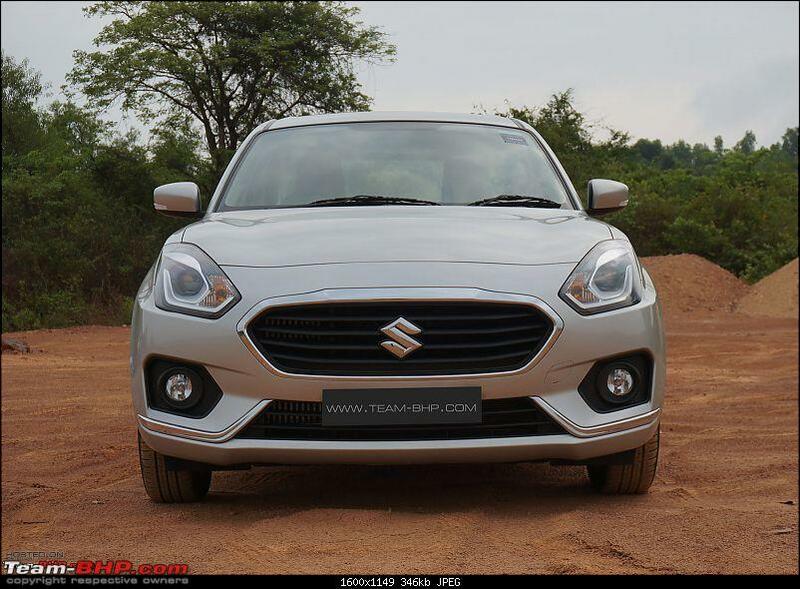 The design looks boxy and a bit dated already against the DZire which looks a lot more sedan and proportionate for a sub-4m package - and likely to age more gracefully. That said - where Maruti has handed the game to Honda in a silver platter is when it comes to the automatic transmissions - with its cheap AMT being no match for the CVT combinations from Honda - especially the diesel. It is a very unique proposition indeed and for the first time in the market, there is a reliable diesel automatic and one doesn't have to trade diesel economy for automatic convenience. Like I said in the Amaze launch thread, a colleague chose the diesel CVT over his earlier choice of City Petrol CVT because the latter offered everything that he 'needs' in a much more frugal and cost effective package. Can see a lot of demand for this particular combination unless NGT plays spoilsport again. 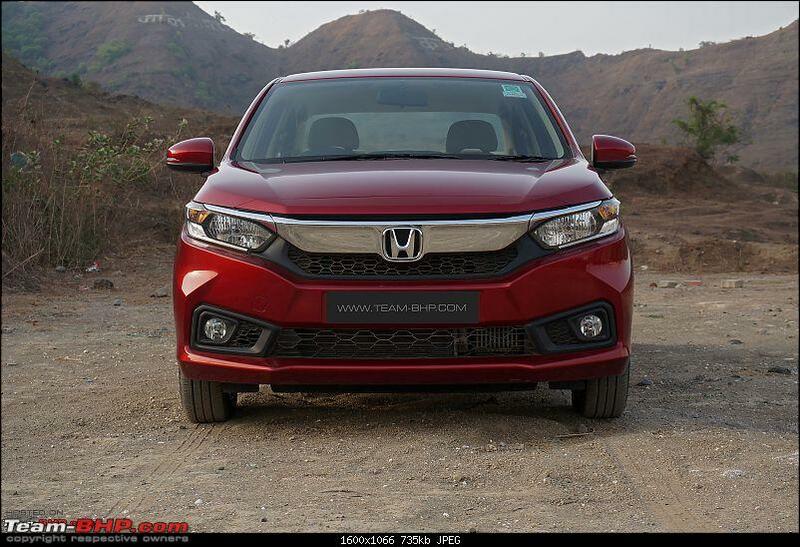 Amaze is also a huge departure for Honda in the pricing aspect - the first time they have positioned a product below the prices of equivalent Maruti competition, specially when it comes to the mid and top models. Hope this competitive pricing continues for their future products too. 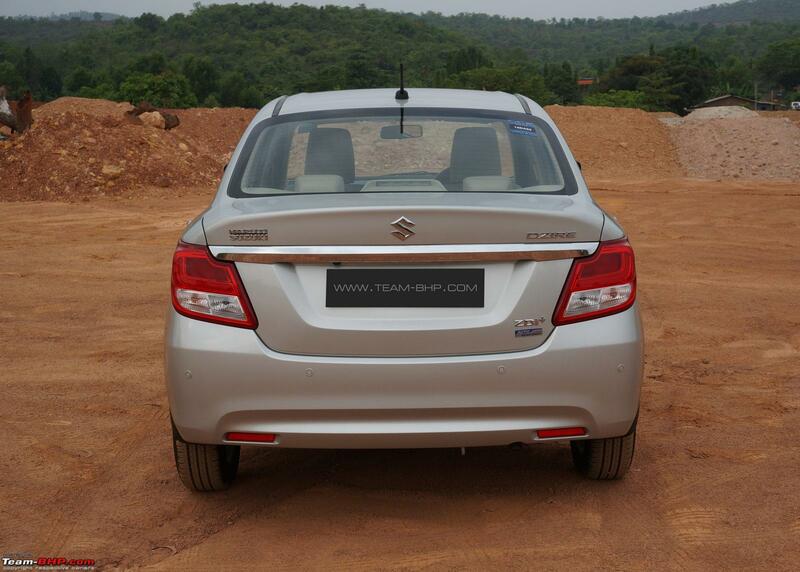 The 1.2 Petrol S CVT variant has the 'S' mode too just like the Diesel counterpart (P-R-N-D-S-L). I test drove both the S and V variants in Ace Noida. The V variant had S mode and paddles. The S variant had no paddles and L mode. The salesperson specifically pointed out this difference. Its not strange, just functional. L mode is used when you need to hold lower gears - for example, when you are in a hill terrain and wouldn't want the ratios (gears) to keep shifting higher when you try and accelerate a climb, or when you are trying to use engine braking when descending. Some cars offers L2 and L3 as well, for more flexibility. V variant has paddles and can individually hold a ratio (gear). Hence no need for the L mode. Edit - Just realized that you were referring to two configurations on the V variant of both petrol and diesel. Strange one gets both S and L, while the other doesn't. L mode is used when you need to hold lower gears - for example, when you are in a hill terrain and wouldn't want to ratios (gears) to keep shifting higher when you try and accelerate a climb, or when you are trying to use engine braking when descending. Some cars offers L2 and L3 as well, for more flexibility. I know what L is, and what S is. The S variant I test drove DID NOT have a 'S' position, instead it had 'L'. I was in market for a petrol AT and went to the Honda showroom recently. Took a test drive of the diesel CVT variant (petrol CVT was not available for test drive). 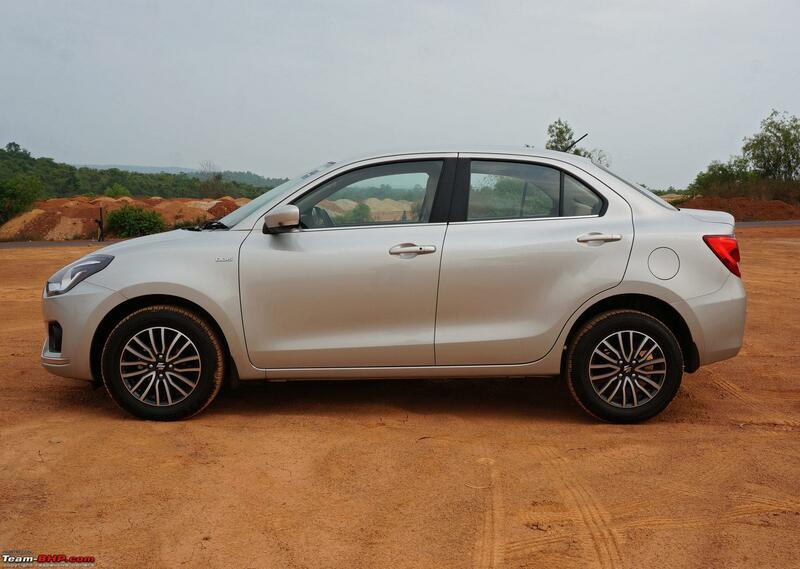 No way, the current Dzire AMT offering is a match for the refined CVT experience on Amaze diesel. Even though detuned by 20 bhp, the diesel motor never felt under powered and the CVT response to sudden acceleration was more than satisfactory. Being said that, the NVH levels are not up to the mark. Engine noise was creeping in considerably. Also, test drove the petrol manual on the same day and there was nothing special to write about it. The drive felt flat and lacked punch. Reluctantly though, booked a petrol CVT as the overall package felt value for money. Later during the week, got a chance to test drive the petrol CVT as well. I never had much expectations after driving the petrol manual, still the driving experience was disappointing. The rubber band effect was evident and the overall experience wasn't satisfactory. Plus the fact that CVT isn't available in the top trim, I ended up cancelling my booking. Being said that for anyone looking for a diesel AT in the range of 10L, Amaze is definitely a strong candidate. I had BHPian NoelNelly take this picture. 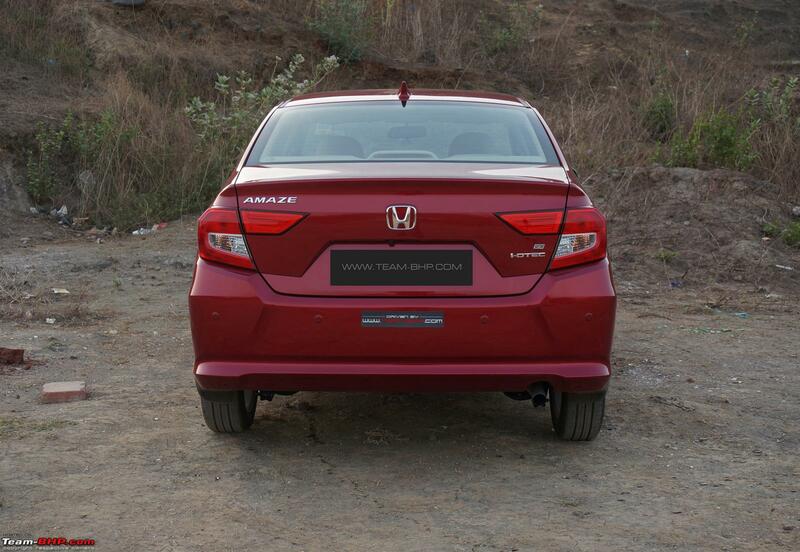 As an Amaze owner, he did share some inputs on the car. You can see his car in the comparo shots at the end. If you look closely, it appears to be a photograph that has been clicked when the needles were in the midst of their full sweep. Correct. It's the image of the needles doing full sweep. Thanks for pointing this out. 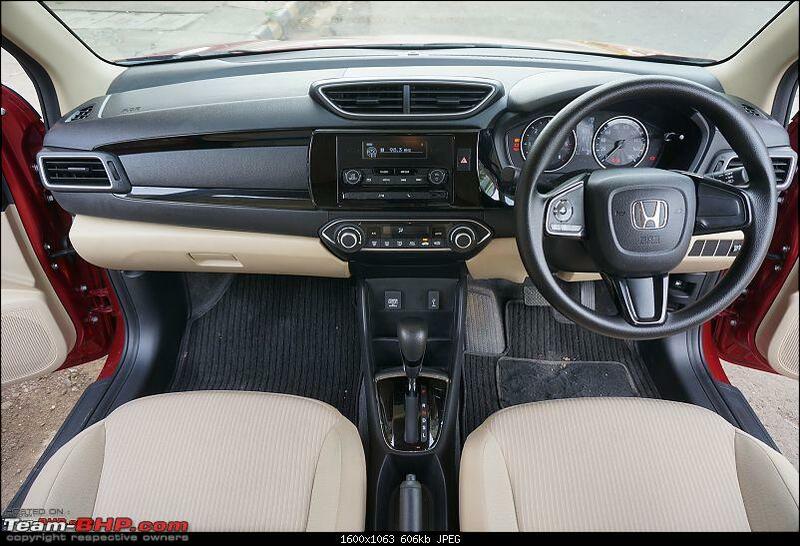 We didn't get lower variants for our review, but I did confirm with Honda if the lower petrol variant (S CVT) came with any other mode or not. I was told that L mode is only on the diesels and not on the petrols. Further, V petrol variant gets the paddle shifts which are not present on the S variant. Last edited by blackwasp : 31st July 2018 at 10:07. Trying to make an AMT smooth is like applying lipstick on a pig. You can try, but it'll never be 'smooth'. My only gripe with compact sedans is sometimes it feels that companies willfully skip on quality / default accessories / trim levels. The plastic quality on some trims, that welding concealer, the naked boot lid interiors, missing driver arm rest - serves as stark reminders that one is buying a 'compact sedan'. In the mass market, I see only Hyundai & VW coming out with innovative features & tech (Hyundai got the 2nd common-rail diesel after the E-Class to India). Thank you! Will have the review corrected later today. Our apologies for the error. So agreed. 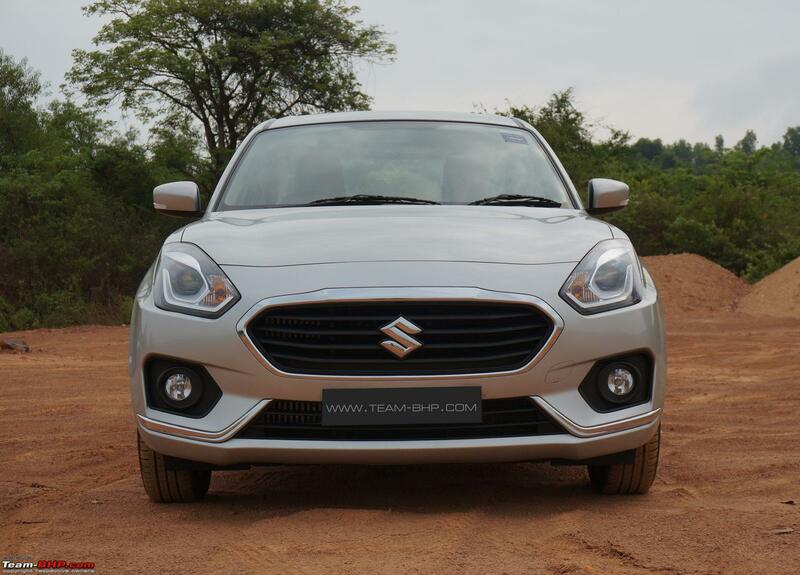 The Dzire shocked everyone - the market & its competitors. The design, features etc. are just 'wow'. Last edited by GTO : 31st July 2018 at 11:14. While many post talk about how AMT is a big compromise compared to the smooth CVT, this car, in other areas, has compromise written all over it Starting with unpainted uninsulated boot lid, poor quality interior plastics, low kerb weight(pain to maintain) and the list goes on! 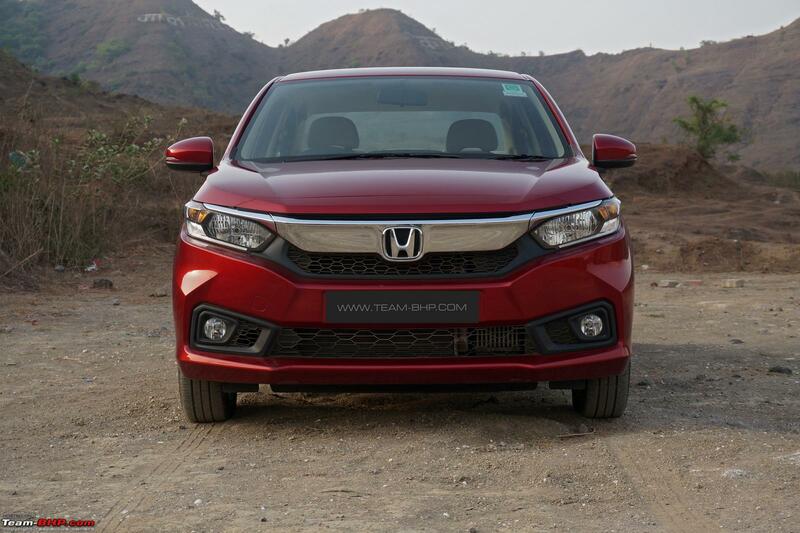 Xcent and Tigor which are segment below will put this car's quality and built to shame! On the other hand CVT diesel combo is SOOO good, I would find it hard to resist buying this car. This might be one of those cars which we might love and hate at the same time Just like Polo with DSG, which has polar opposite character of this car. While the new Amaze is a great package, there's no hiding the fact that it's built to a price. 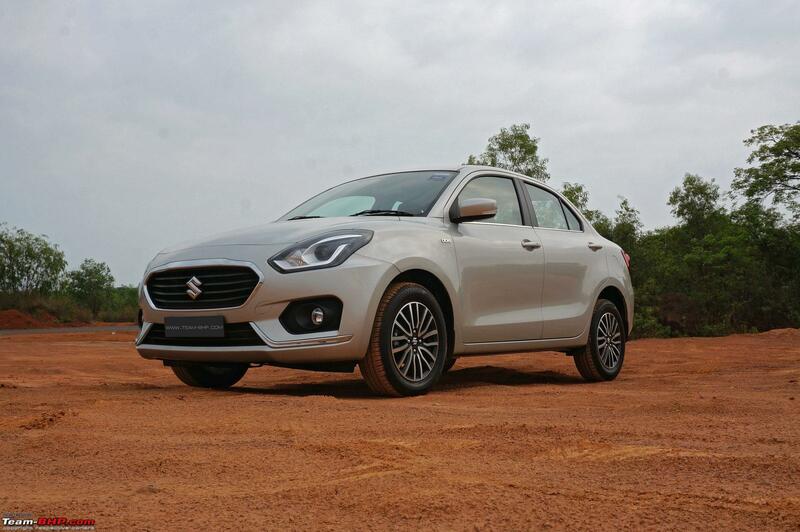 The Dzire and Xcent are better at hiding their budget roots. 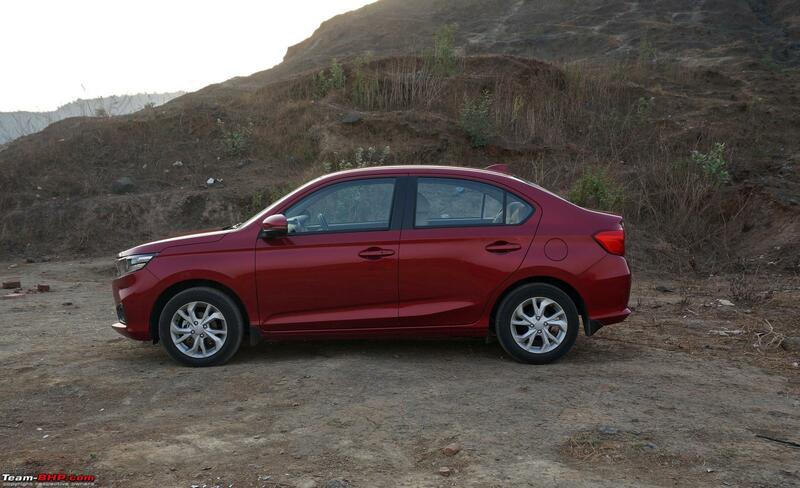 In some ways, the Amaze reminds me of the Etios. Guess Honda and Toyota should learn a thing or two from Maruti and Hyundai about how to make affordable cars that don't feel cheap. In that sense, Toyota seem to be slightly better at sticking to their strengths. Case in point, the Yaris. They know they can't make cost and quality go hand in hand like Hyundai, so they choose quality over cost. When will Honda learn? Personally, I'd never buy a compact sedan. 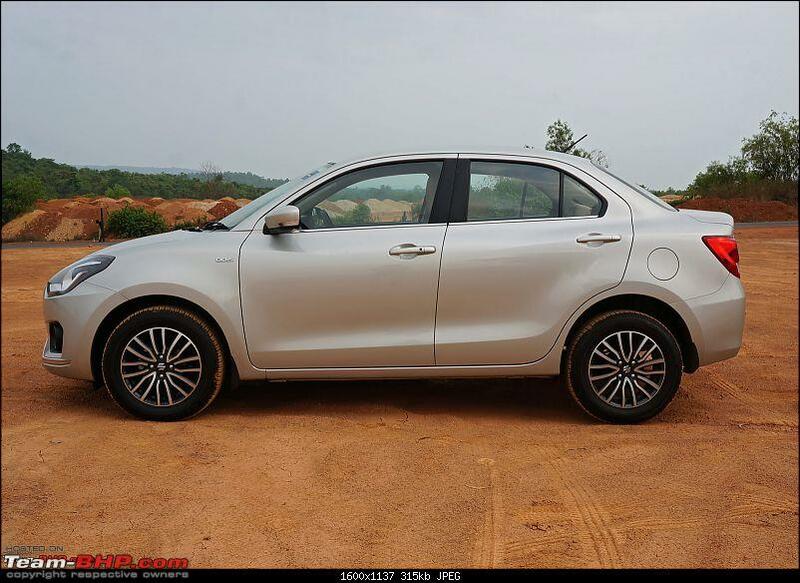 Gun to my head, I'd pick the Ameo or Dzire depending on the situation. Last edited by Aaron:) : 31st July 2018 at 12:08. Epic review blackwasp. 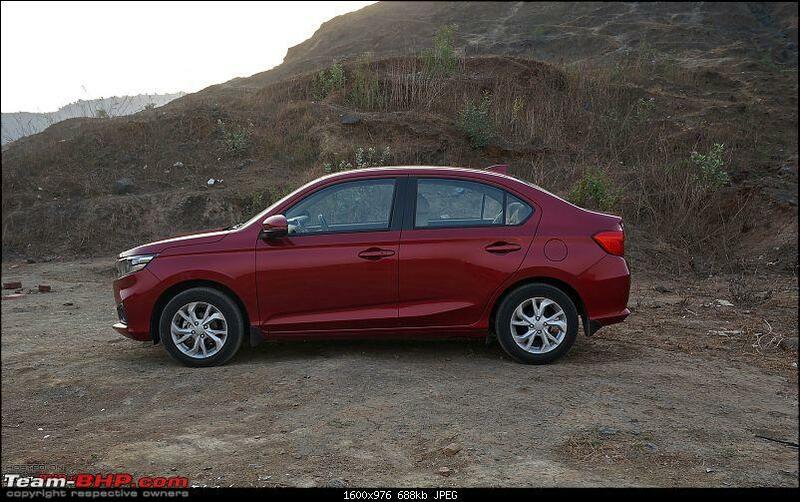 RATED A WELL DESERVED 5 *s.
Comparison snaps of the car with its prime competition,.. I feel DZire had moved the game so forward that Honda hasn't really caught up fully. Couldn't possibly agree more with you CrAzY dRiVeR. 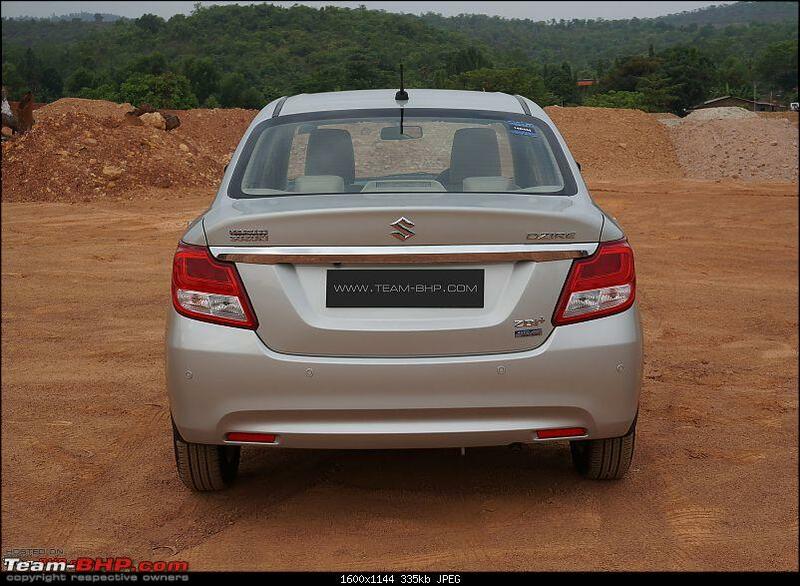 I have never really been a fan of Swift to begin with, and Dzire was just an uglier iteration of this hatch, until Maruti released the first facelift. The design was not great, but it was way better than the ugly Swift + Boot variant. 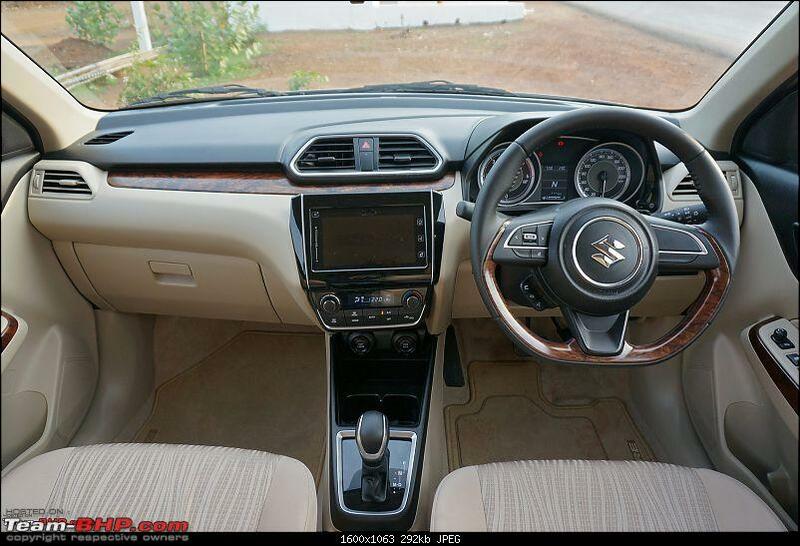 But boy, did Maruti nail it with the latest design. The ZDI+/ZXI+ variants look smashing with that lowered snout and gorgeous DRLs. Dare I say, it now resembles a Maserati to an untrained eye!! 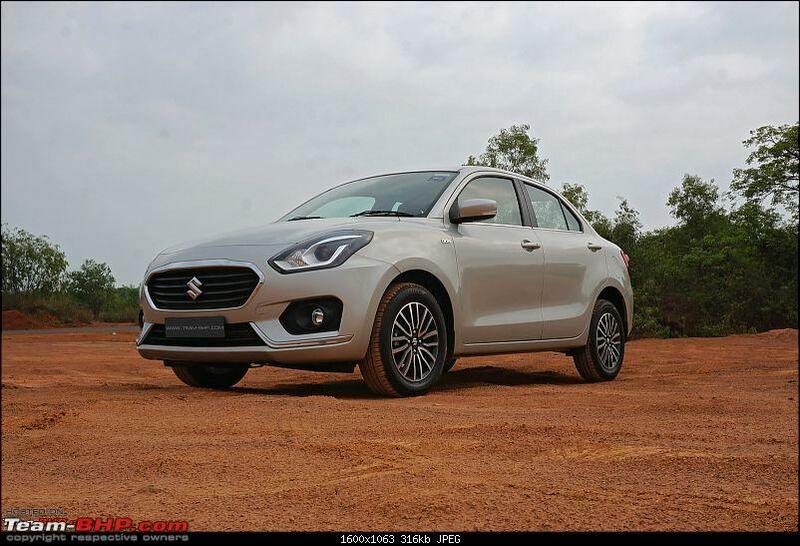 This Amaze looks horrendous IMO, and cannot even compete in the 'Good Looking Cars of 2018', let alone against the latest Dzire. Trying to make an AMT smooth is like applying lipstick on a pig. Where did you come up with that line GTO? I have not really driven an AMT till date, but if its that bad, I am very happy applying my German Burnol, and wouldn't want to get close to this lipstick!! Last edited by Vik0728 : 31st July 2018 at 12:50. Superb Review! Amaze continues to be the experimental platform for Honda. 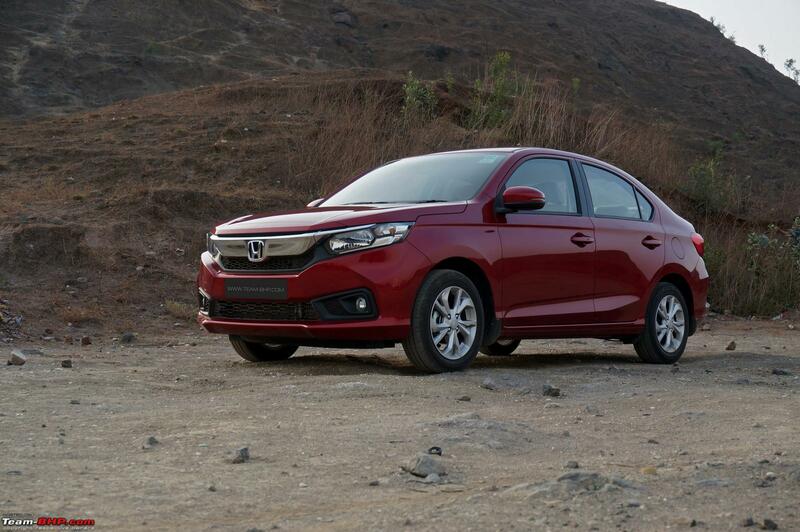 They brought the Diesel engine first with the Amaze and now they have the Diesel + CVT combo. The Amaze has been selling in big numbers the initial 2 months - need to wait and watch at what monthly figure it settles down. This combination seems to have given a new lease of life for the i-DTEC motor which was written off due to the noise. I for one, have always enjoyed the in-city driveablity of this engine on my City and the noise has never bothered me while driving. It is only at the start of the car, and when I am about to park the car, is when I notice the engine noise. Honda will surely bring in the same combination for the City when they launch the next generation City for sure. 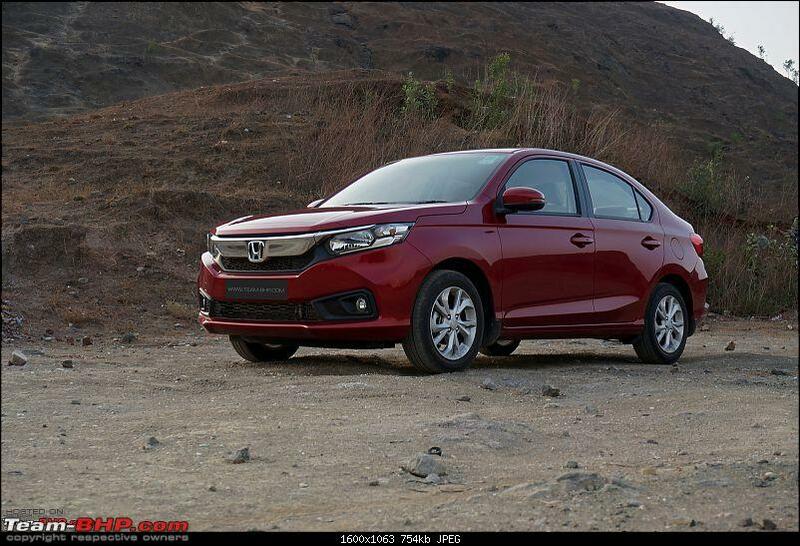 The new amaze is all about AT and the Honda-ness of the car IMHO lies in the honest attempt to bring the best of the automatic experience to the average Indian urban commuter who so much deserves it. It is so easy to dismiss this car as cheap but then ask the office goer doing 50 km per day in an Indian city traffic, this will be god send for him as he will be able to actually afford it - both to buy and run (Diesel automatic with 15+ mileage!). I have liked Honda for bringing it's Indian customers some of the best features and utilities from their international repertoire unlike some other companies that show a different attitude. And they didn't disappoint me again with this new Amaze. I have owned Honda City ZX VTEC (2006) and Honda Jazz V CVT (2015). I can 'connect' with your review - totally! The Jazz that I have is used mainly by my wife since 2016 (when I bought a Scorpio S10 AT for my use). I have yet to come across an 'ideal' car. However, I can say confidently that the smoothness of the Jazz CVT is alone worth the total cost of the car. I had visited Honda dealer for some servicing. At that time, I had tried to get a test drive. I could get a test drive of the manual Amaze petrol version. It felt good. However, what I really wanted to test was the Diesel CVT. No such luck. Maybe next time! Once more, thanks for the fantastic review.